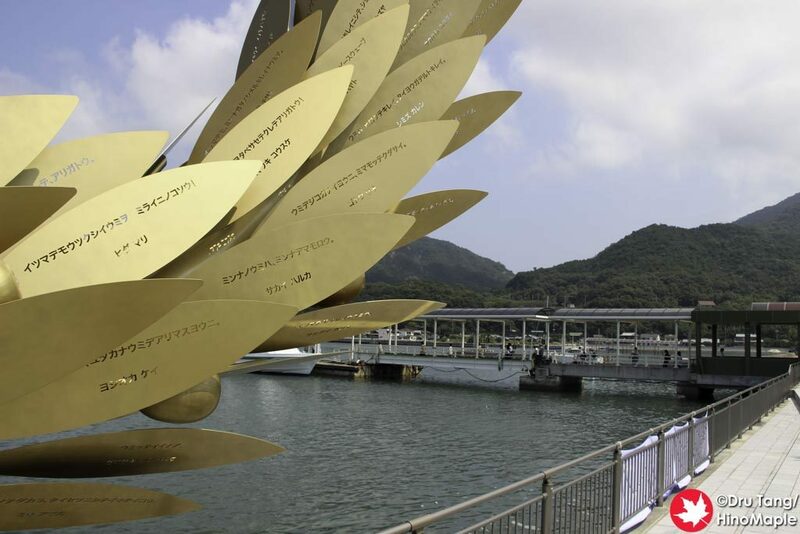 Gift of the Sun by Choi Jeong Hwa is a very radiant artwork at the port of Tonosho. 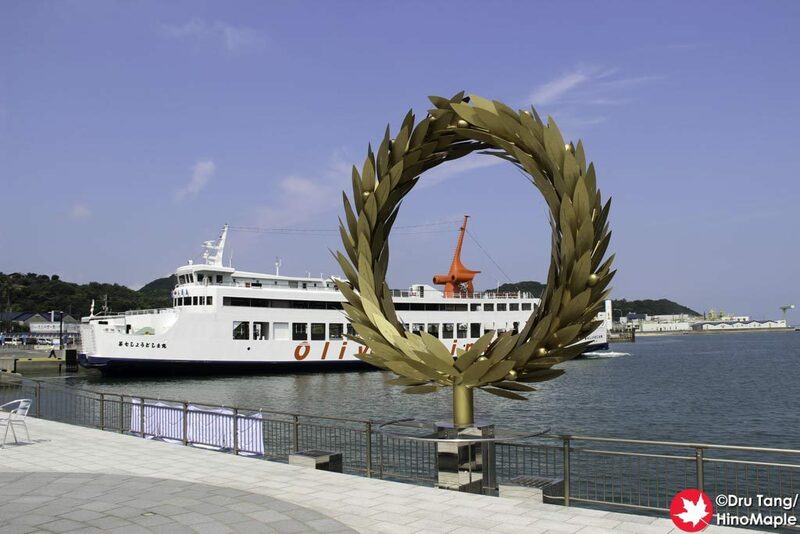 When you disembark from the ferry from Takamatsu, or most other ferries, you will see Gift of the Sun on your left. It doesn’t look so big in many photos until you see it in person. 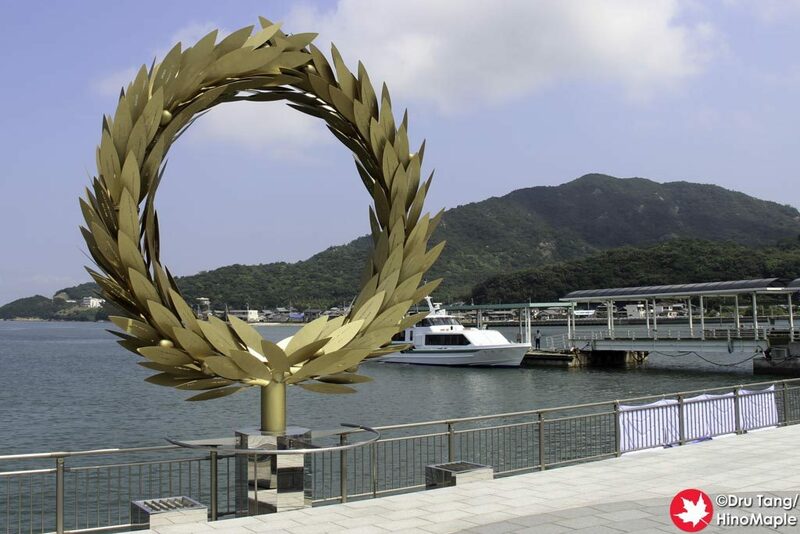 It may be nothing more than a golden wreath at the harbour front but it is still a beautiful work. 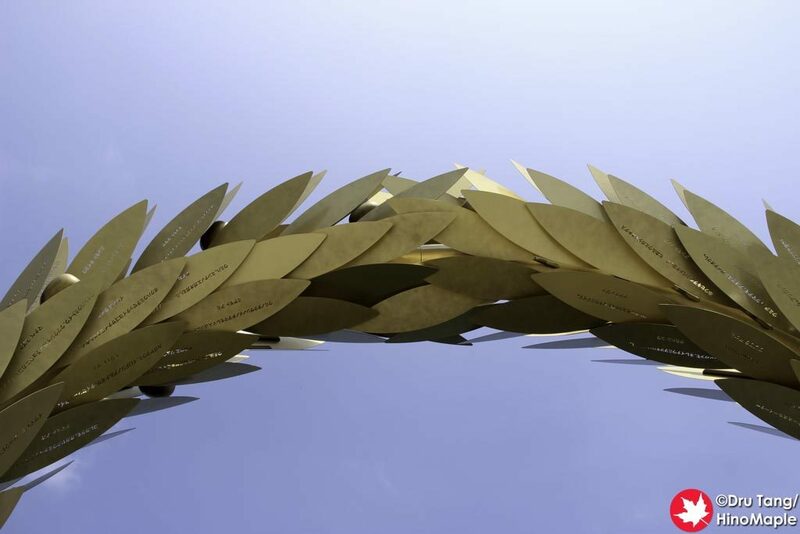 The wreath itself is supposed to be made of olive branches. 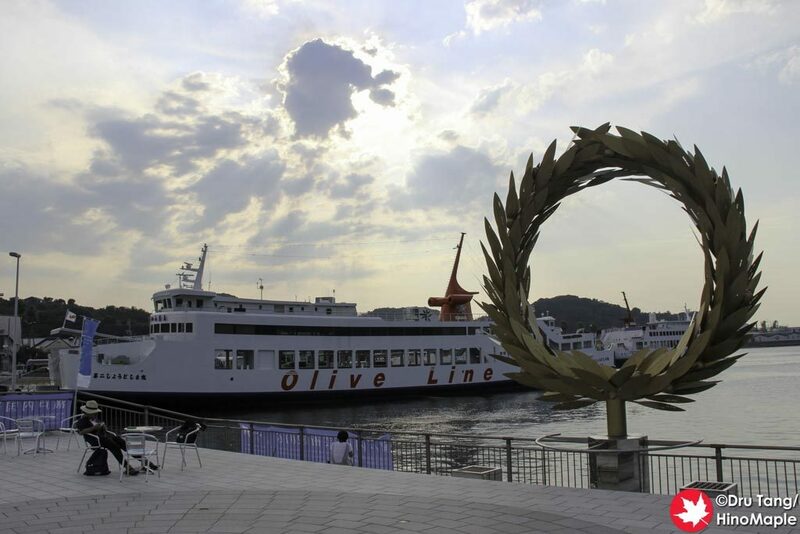 Olives are grown on Shodoshima and has become a symbol of the island itself. 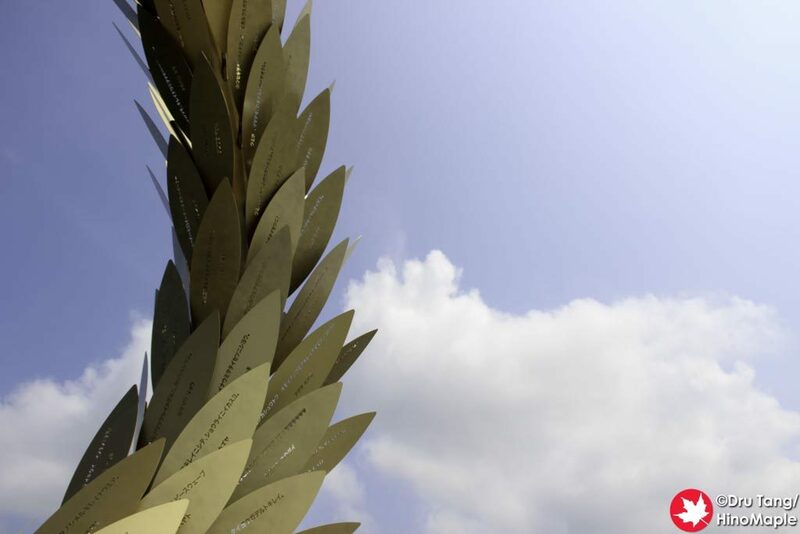 On each leaf of the wreath you can see messages that have been cut out of leach leaf. 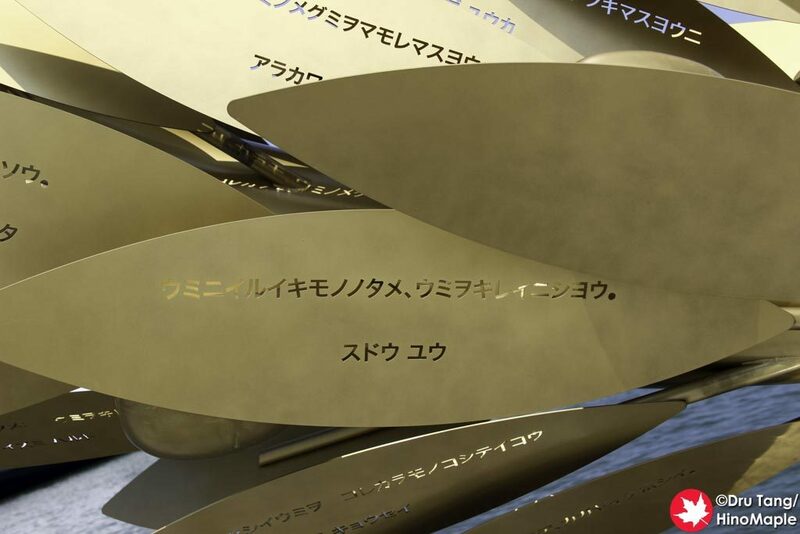 The messages are the dreams for the future of the local children of Shodoshima. Many of them convey messages for a beautiful ocean and that people don’t throw their garbage into the sea. It has a very powerful connection with the island and that is what makes this artwork beautiful. Gift of the Sun is a wonderful and photogenic artwork and Choi Jeong Hwa did a great job with it. You can get excellent photos of the ferry behind the wreath and you can also get regular beautiful photos without the ferry. I could have spent hours just looking for other angles to photograph Gift of the Sun but you need to be patient to have this artwork all to yourself. It can get busy, especially before the ferries depart but in the morning after the ferries arrive, if you wait long enough, most people will leave and you’ll get the artwork all to yourself. 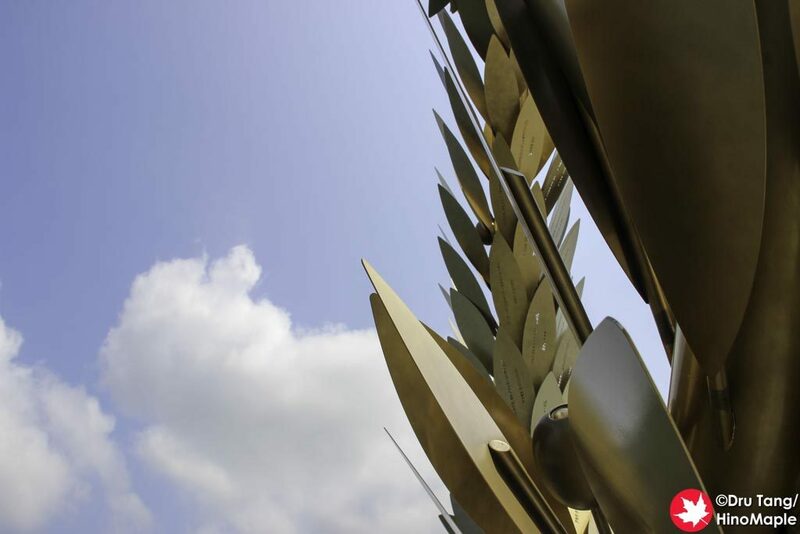 It is well worth your time to visit Gift of the Sun and it radiates even more around sunset. 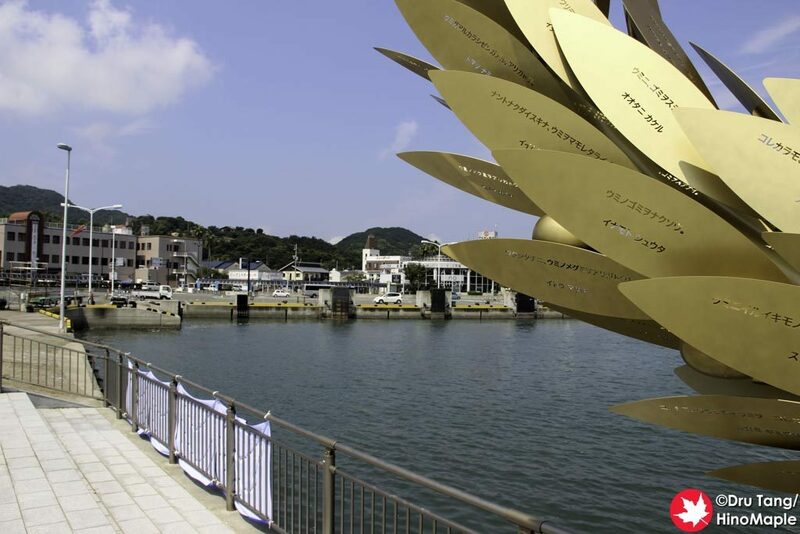 This entry was posted in Setouchi Triennale and tagged Choi Jeong Hwa, Gift of the Sun, japan, Setouchi Triennale, Shodoshima, Tonosho by Dru. Bookmark the permalink.